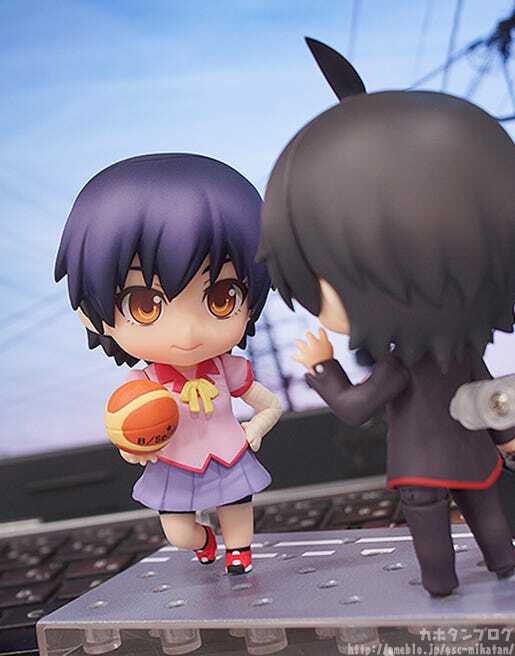 From the popular anime series ‘Bakemonogatari’ comes a Nendoroid of Koyomi Araragi! 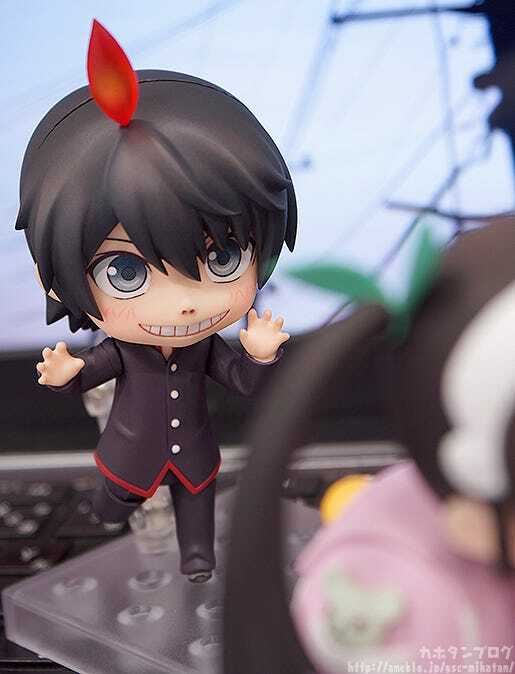 He comes with three expressions including his standard disinterested face, a grinning face that looks ready for some mischief and a frightened face that fans are sure to remember from the series! 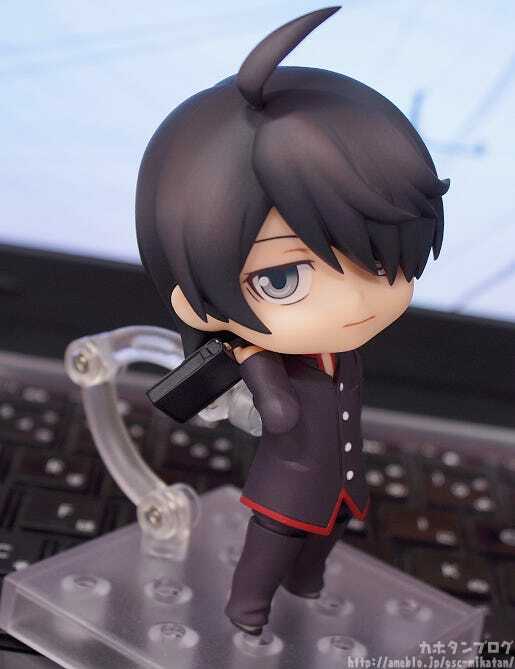 Optional parts include his school bag as well as various different sticking-up hair parts, as his hair would often show his emotions! 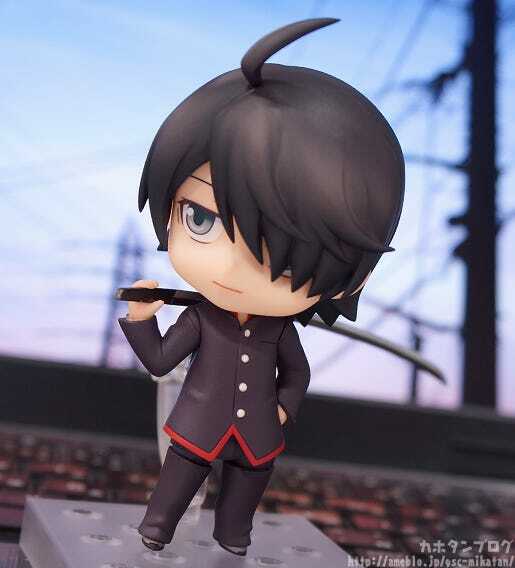 The sword he borrowed from Shinobu ‘Kokorowatari’ and a special base made to look like a road are also both included, allowing for all sorts of situations from the series! 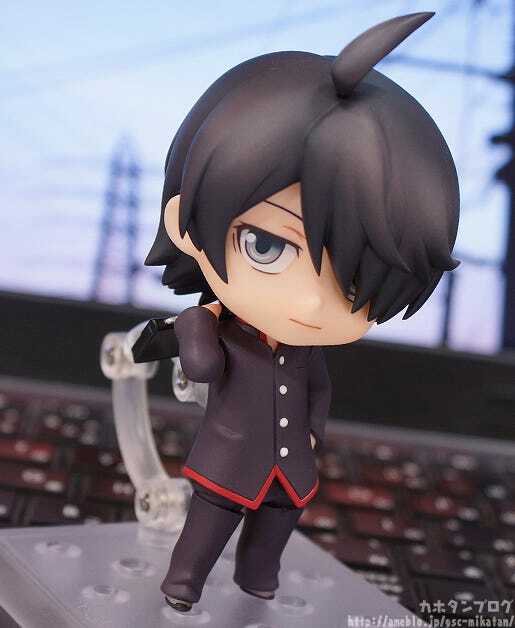 He is wearing his Naoetsu Private High School uniform sculpted in lovely detail, and his hair also looks great in Nendoroid size – it even covers his left eye! 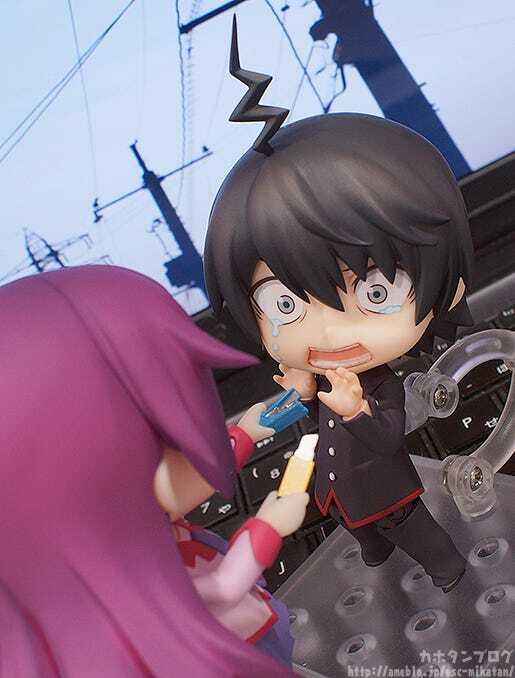 We’re joined by the figure’s planner… Chanshuu-senpai!! 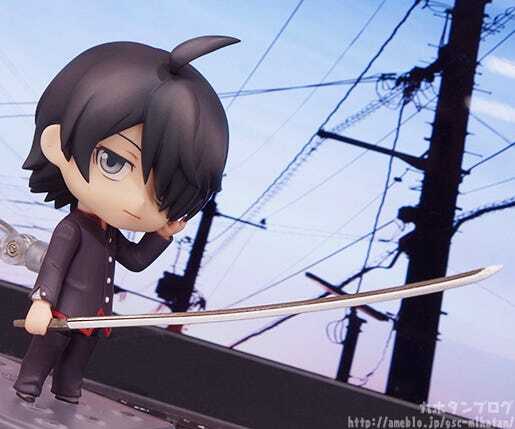 Is this sword what I think it is?! 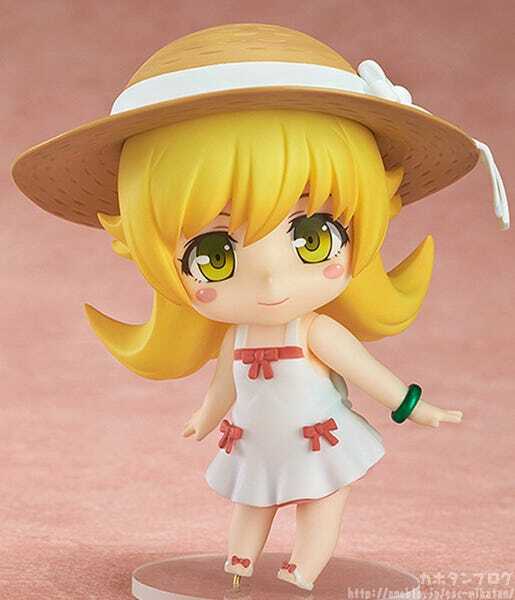 By the way, don’t forget that Nendoroid Oshino Shinobu who is included with the Nisemonogatari Premium Item BOX Set is currently up for order! 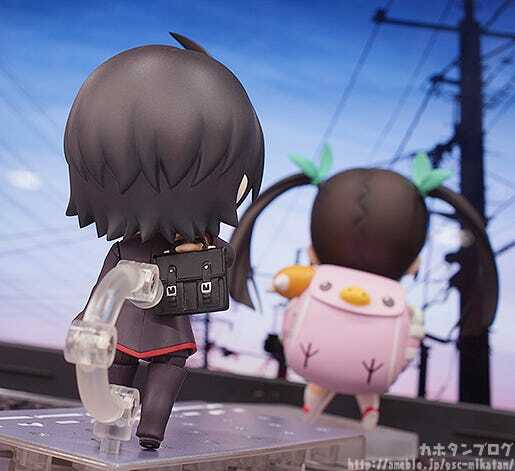 We decided to take a video of the 1/8th Scale Honoka Kousaka so everyone could get a look at her from any angle they want! 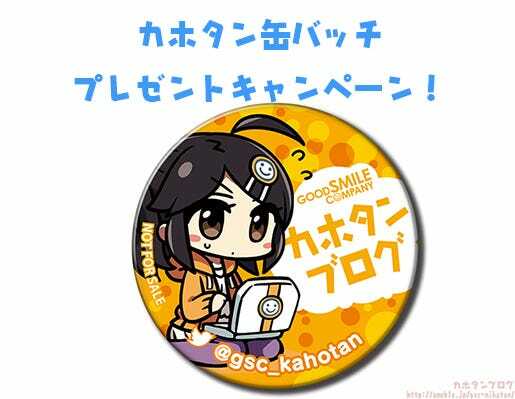 You can still preorder her at the GSC ONLINE SHOP until the 18th June 2014! Don’t forget about the events this weekend! 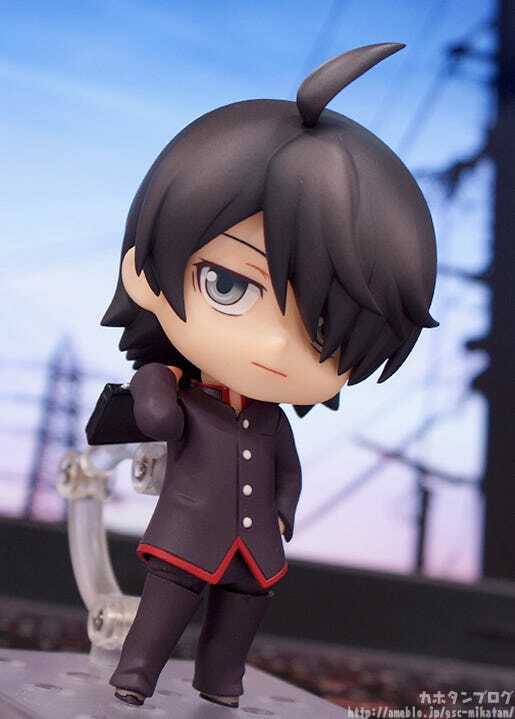 This weekend you can preorder Ciel at Nagoya or Osaka! 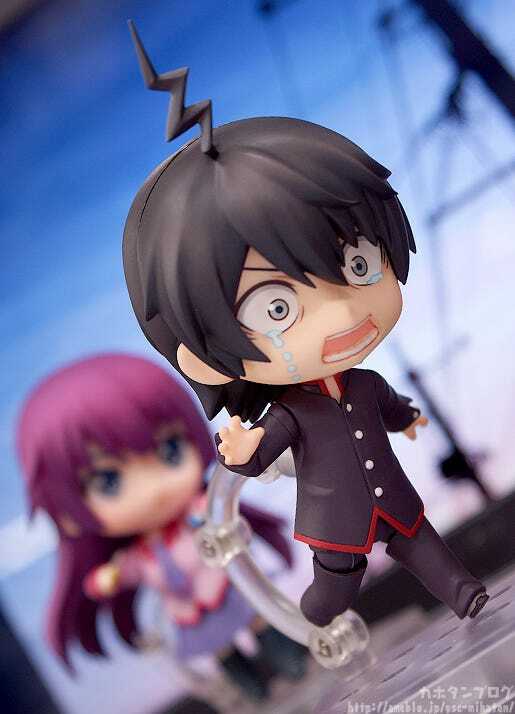 Orders made at the event will also include a bonus drama CD! See the event page below for more details!